Behavioral problems in dogs come in different forms and intensity. Sometimes the behavioral problems are minor and can be corrected quite easily by proper training. However, some problems, such as dog aggression, can be so serious that owners are sometimes forced to give up the dog. Solving behavioral problems in dogs, no matter what they are, should be done with patience, care, and love. 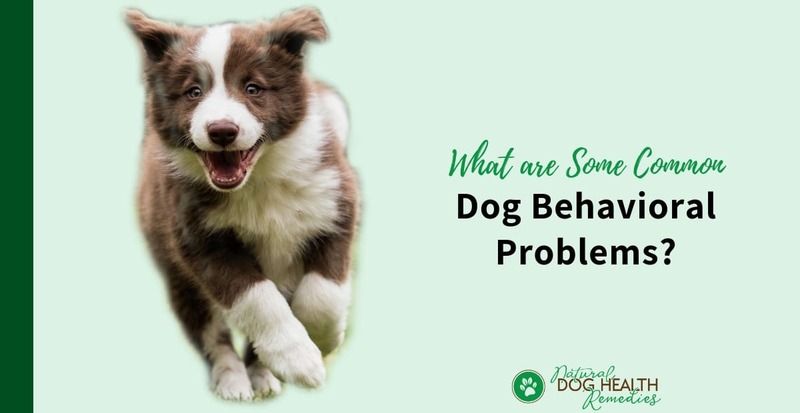 Also, understand that sometimes certain dog behavorial problems can be caused by physical problems - one typical example is sudden aggression. Dogs who are in pain usually get aggressive especially when being touched. Therefore, we need to treat dog behavorial problems holistically - we need to look at and deal with all the possibilities that may cause the problem. 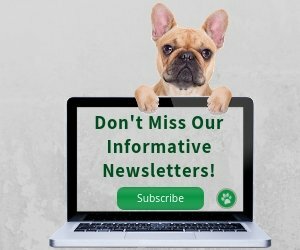 Below you can find links to pages on some common behavioral problems in dogs. You will find information on some factors contributing to the problems, guidance as to what can be done, and how natural remedies can be used to help address some of the problems. Does your dog show aggressive behavior? Aggression in dogs is perhaps one of the most serious dog behavioral problems. Sometimes it is due to a lack of proper training, other times there may be an underlying physical health issue that is causing a dog to be aggressive. 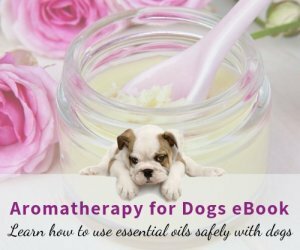 There are some natural remedies such as herbs, homeopathic remedies, and essential oils that can be used to help tame an aggressive dog! 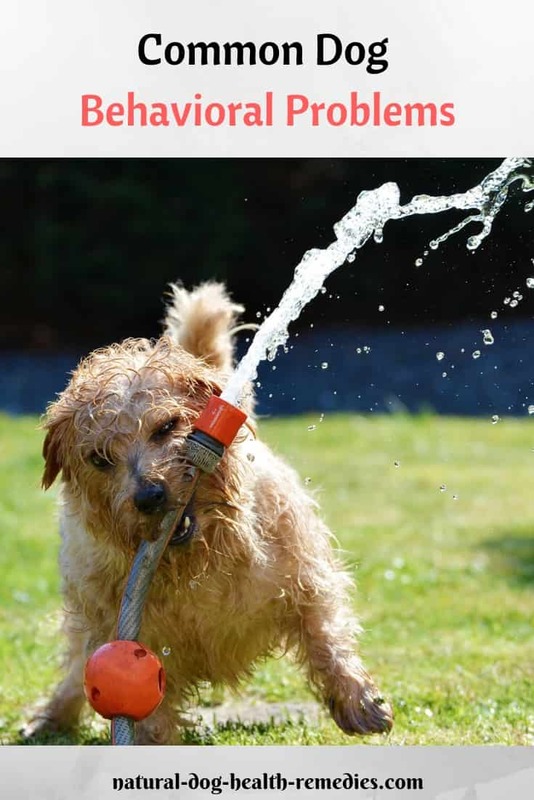 Many dog parents may think that their dogs are hyperactive, but actually true "hyperactivity" in dogs is rather rare. It is a medical condition that requires veterinary attention. Improper diets, a lack of exercise, and poor training are all contributing factors to hyperactivity in dogs. 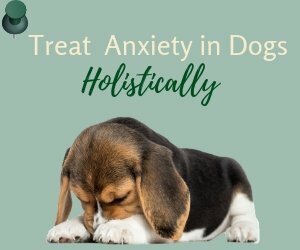 What are the symptoms of dogs who are hyperactive, and can natural remedies help calm such dogs? Find out more about dog hyperactivity here, and how to use natural remedies to calm a hyperactive dog here. Separation anxiety is another common canine behavioral problem. A dog with this problem cannot stand being left alone and can become very vocal and destructive - they can actually destroy furniture, the house door, and generally make a mess of the house while their owners are away! Read this page for information and treatment for separation anxiety in dogs. Besides separation anxiety, dogs can also suffer from noise or social anxiety. They may be very scared of loud noises such as thunder or fireworks (noise anxiety), or they may become aggressive when they are around some dogs or people because they feel nervous and anxious (social anxiety). Positive training is effective in helping dogs to overcome these two dog behavioral problems. Does your dog's incessant licking drive you crazy? While excessive licking in dogs may be caused by physical discomfort (e.g. itching, pain), some dogs lick out of stress or boredom. If the licking is not stopped, chronic skin lesions may result (a condition known as acral lick dermatitis). Read this page to see how to stop your dog from licking! Poop-eating (a condition known as coprophagia) is definitely one of those dog behavioral problems we can do without! Dogs eat poop for quite a few possible reasons but, generally speaking, can be pinned down to three main categories - malnutrition, underlying health problems, and behavioral problem. There are ways to deal with this stinky business - Find out how. Sorry to say this but, if your dog begs, it is not his fault but yours! Yes - dog begging is a learned behavior. If trained properly, a dog will not beg (either for food or attention) at all since he knows it will bring no result. So how can you "untrain" your dog so he will leave you alone while you are enjoying your dinner? Visit our page on Dog Begging to get your answer! When dogs become older, they tend to show some changes in their behavior. Some such changes are caused by physical health problems, others may be caused by cognitive dysfunction. Read this page to see some common old dog behavioral changes. The most important thing to remember about correcting unwanted behaviors is, never yell at your dog and NEVER use harsh punishment, such as beating, or products that are downright inhumane, such as shock collars. Using negative punishment will only aggravate your dog's behavioral problems. Negative punishment will also put extra stress and anxiety on the already troubled dog, making him all the more difficult to be trained. As well, if a dog's behavorial problem is caused by a physical problem, it is of course not the fault of the dog, and punishing the dog will not solve the problem. Finally, if you resort to negative and harsh punishment, you will never establish a warm, trusting relationship with your dog.